This article appears in the July/August 2015 “British Issue,” now available on newsstands. 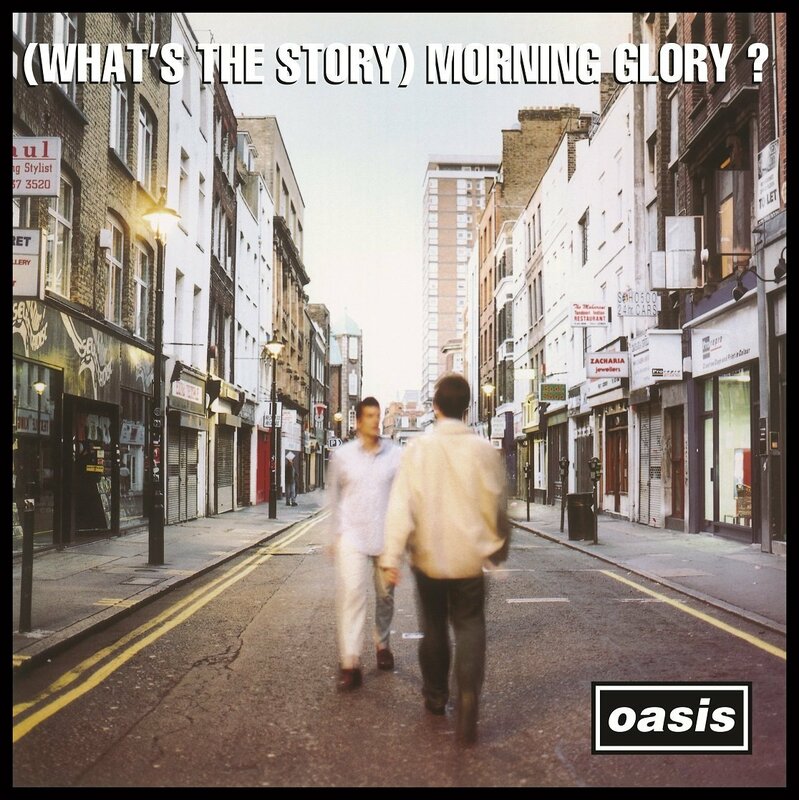 It was a legitimate question, asked by Fran Healy of the band Travis on their 1999 single “Writing To Reach You,” in reference to Oasis’ inescapable 1995 anthem “Wonderwall.” And, in some ways, it’s a question that fans of the song have been asking for the past 20 years, ever since Noel Gallagher wrote it and his brother Liam brayed it out in unforgettable fashion. If you’re looking for a peak moment in the career of Oasis, those rough-and-tumble, rude-and-ready bastions of BritPop, “Wonderwall” is that moment. As a matter of fact, it’s probably the acme of that entire musical movement that included bands like Blur and Pulp and ruled the roost for a brief, heady time in the mid-’90s. The song, featured on the band’s nearly perfect second album (What’s The Story) Morning Glory, not only enthralled the hometown fans, reaching #2 in the U.K., but it also broke the band to the American pop audience, hitting #8 on the Billboard charts. In the time since, it’s been ranked highly on many lists of all-time classic songs. And, since Oasis never quite reached those dizzying heights in their career again, it stands as the band’s signature song, which, as might be expected considering his legendary contrariness, doesn’t please Liam Gallagher. As he succinctly put it to NME.com last year: “Every time I have to sing it I want to gag.” Needless to say, he’s in the minority with that opinion. “Wonderwall” begins with Noel’s acoustic guitar strum and Liam’s somewhat mysterious first lines: “Today is gonna be the day that they’re gonna throw it back to you/ By now you should’ve somehow realized what you gotta do/ I don’t believe that anybody feels the way I do about you now.” While it’s impossible to discern the details of the situation, we can glean that the girl he’s addressing is at a lonely crossroads in her life, with the narrator the only one still standing in her corner. That brings us back to the opening question posed by Travis. If you look to Noel’s Beatles fixation for answers, you’ll find that George Harrison composed an instrumental soundtrack album in 1968 titled Wonderwall Music, which was notable as being the first solo release by any member of the group. More than likely, he latched onto that word for its evocative nature, suggesting a spectacular, end-of-the-rainbow reward that the love of this girl represents for the narrator. With those words, Noel inadvertently hit the nail on the head. It’s that vulnerability, evident in his tenderly chosen words and in Liam’s piercing vocals that really make this one such a legendary song. Anybody can say “I love you”; try telling the one who means the most to you, “You’re my wonderwall” instead. It may not make much sense, but it somehow says it all.